 This dataset is available under the CC-BY data licencing model and users are required to acknowledge the Australian Government, Department of the Environment as the source of the data in any of their uses. Statements of acknowledgement to be used for components of various State supplied data can be found in the Acknowledgements section of this metadata statement. Due to data being compiled from various sources, care needs to be taken when using the data to ensure any restrictions applying to data sources are met. For the identification of wetland boundaries or locations in regard to the compliance of activities with relevant State legislation, the relevant State authority should be contacted to obtain the most recent and accurate boundary information available. This is a polygon coverage representing the wetlands cited in the "A Directory of Important Wetlands in Australia" Third Edition (EA, 2001), plus various additions for wetlands listed after 2001. This coverage is a compilation of various data sources and has been collected using a variety of methods. This dataset should therefore be used as an indicative guide only to wetland boundaries and locations. The data has been collated by the Australian Government Department of the Environment from various datasets including those supplied by the relevant State agencies. State agency contributors include the Queensland Environmental Protection Authority, NSW Department of Environment and Conservation and the Victorian Department of Sustainability and Environment. For the identification of wetland boundaries or locations in regard to the compliance of activities with relevant State legislation, the relevant State authority should be contacted to obtain the most recent and accurate wetland boundary information available. The criteria for the definition of a wetland used in this dataset is that adopted by the Ramsar Convention, namely: "areas of marsh, fen, peatland or water, whether natural or artificial, permanent or temporary, with water that is static or flowing, fresh, brackish or salt, including areas of marine water the depth of which at low tide does not exceed six meters." WNAME: the name of the wetland site as listed in the Directory. REFCODE: an individual reference number including a cross reference to the State in which it occurs. The first 2-3 characters relate to the State or Territory of origin followed by the 3 digit sequential wetland numeric code. (eg. "NSW001": NSW=New South Wales; 001=wetland number). SOURCE: the data source for the polygon. FEAT_CODE: description of the waterbody's hydrographic feature (eg. 'lake', 'swamp'). This attribute is derived from the TOPO250K.WATERBOD coverage. STATE: the State or Territory in which the waterbody occurs. This data was updated on 23/03/2010. The wetlands of "Lake Cowal/Wilbertroy Wetlands" (Refcode: NSW040) has an additional small polygon about 600 km away. It is considered as an error. This additional small polygon was removed. QLD Environmental Protection Agency, June 2005. VIC Department of Sustainability and Environment, April 2004. Department of the Environment and Heritage (2001) A Directory of Important Wetlands in Australia 3rd ed.